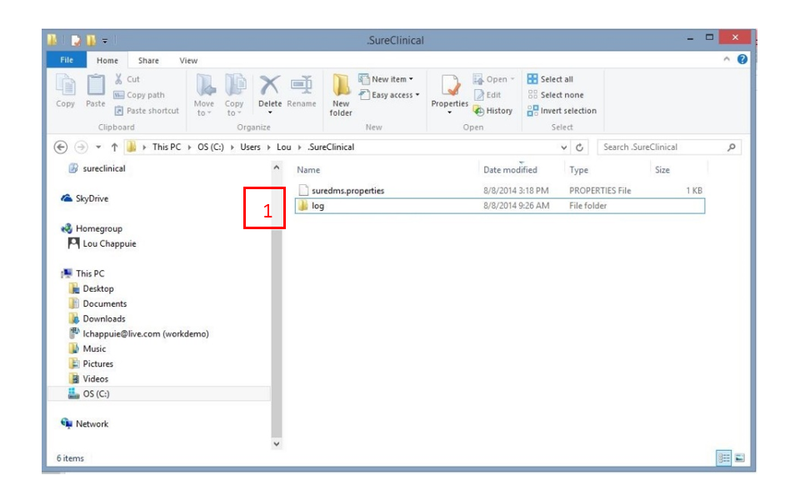 SureClinical Desktop log files are stored locally on your PC. The log files can be readily found for sharing with SureClinical Support for debugging purposes. 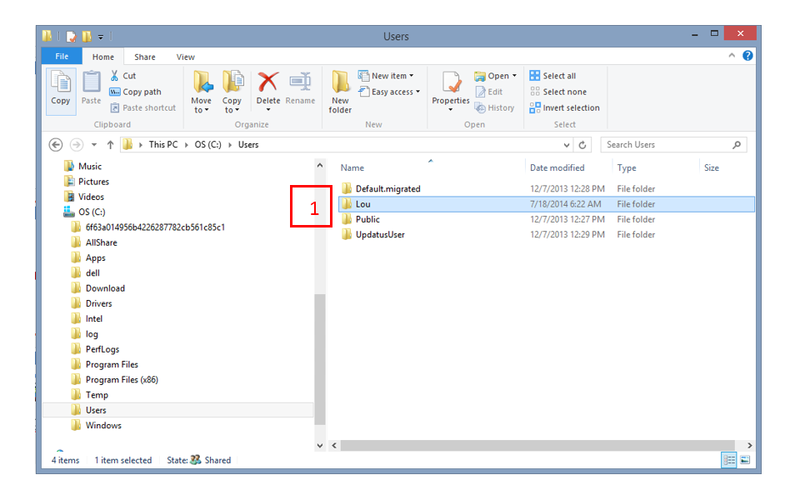 If you are familiar with locating folders on your PC, navigate to: C:\Users\YourUserName\.SureClinical\log and select the suredms file. 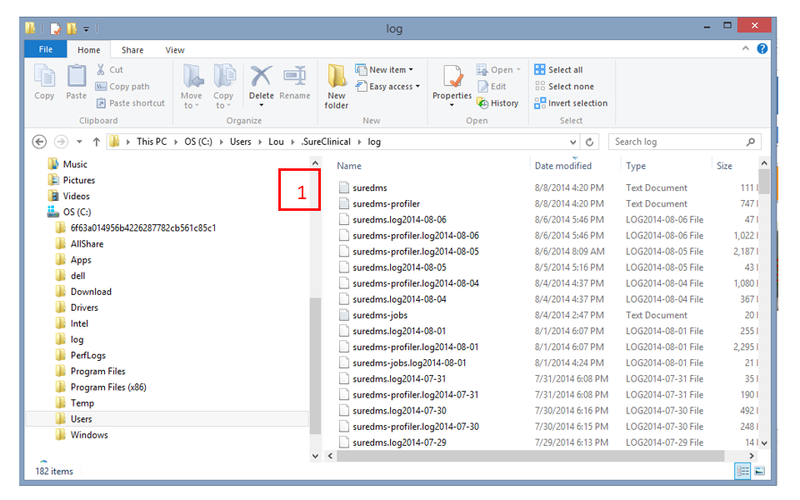 The instructions below provide step-by-step screenshots for locating the suredms log file. 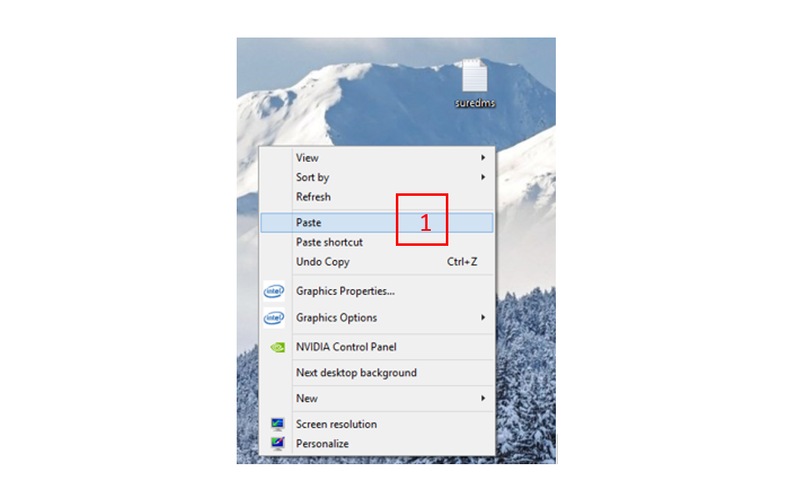 Select OS (C:) (or the partition at which your operating system resides) in This PC  double-clicking on icon in left navigation panel and select Users  by double-clicking folder in the right window. 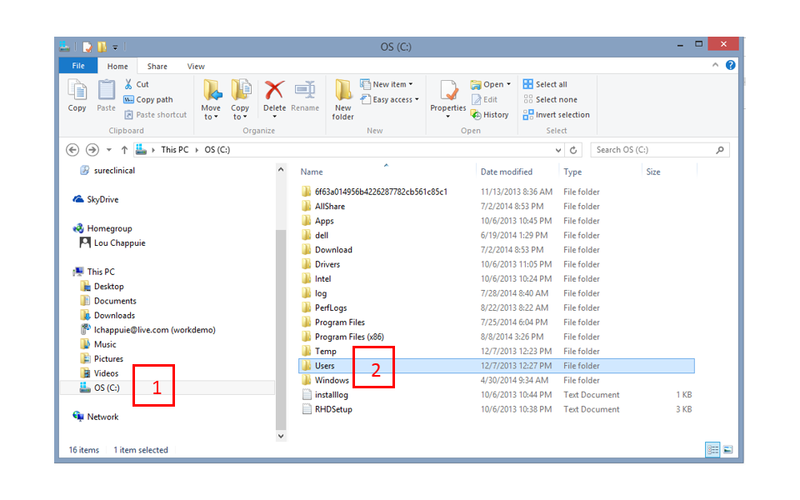 2 Select “your user name” file folder  by double-clicking on folder. Note: This is your personal directory. Locate the suredms text file. 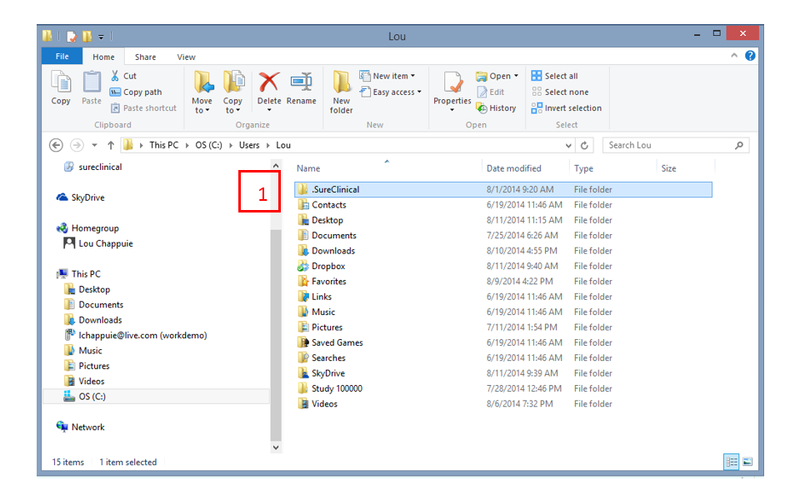 6 You can Copy the file to your desktop by right clicking suredms  and selecting Copy. 7 You can Paste the file to your Desktop. Navigate to your Desktop, right-click on canvas and select Paste . 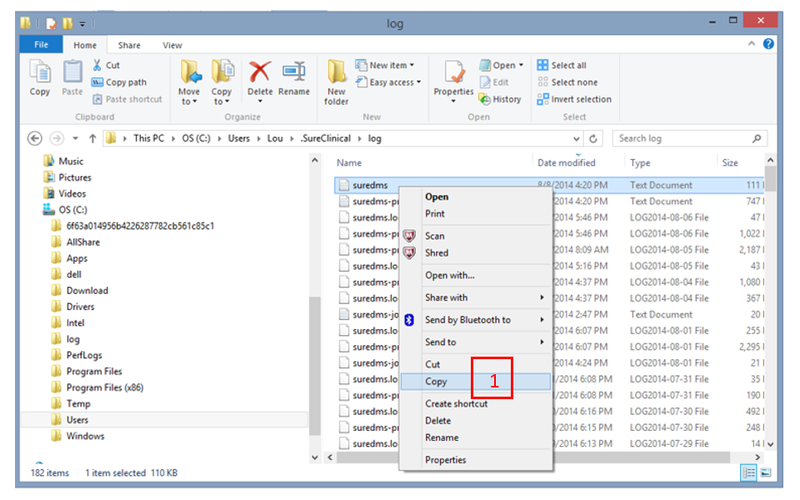 This log file can then be attached to an email and sent to support.